THURSDAY, Feb. 7, 2019 (HealthDay News) -- A popular anti-diarrheal drug is fast becoming another dangerous byproduct of the opioid crisis, as more addicts take huge quantities of it to ease withdrawal symptoms or get dangerously high. Why the jump? The primary appeal of loperamide is that while it has an opioid-like effect on bowel movements and doesn't produce a high in recommended doses, it can make someone high in huge quantities. On top of that, it's both cheap and accessible for addicts looking for ways to self-medicate the withdrawal symptoms that typically kick in when they try to stop taking powerful opioids. 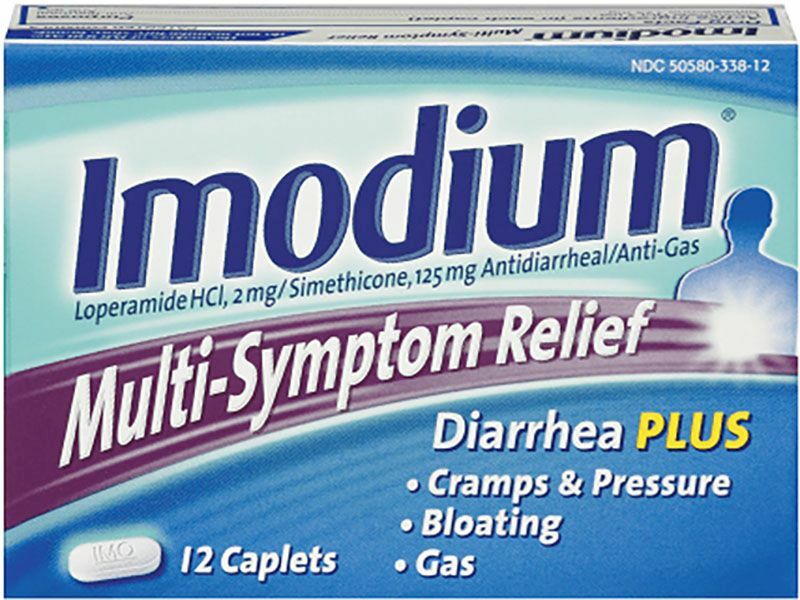 "Loperamide is a safe, targeted and effective treatment for diarrhea and has been used since the 1970s, and is on the 'World Health Organization List of Essential Medicines' for [diarrhea]," explained study author Dr. Diane Calello. She is the executive and medical director of Rutgers University's New Jersey Poison Control Center (NJPCC). At recommended dosages, which the U.S. Food and Drug Administration pegs at 8 milligrams (mg) per day, loperamide does not produce euphoria or sedation, she said. But "a 'high' can result when the drug crosses the blood-brain barrier at high doses, as seen in this study," noted Calello. She and her colleagues found that majority of loperamide abuse cases involve extremely high doses, in the range of between 50 and 100 2-mg pills. Emily Einstein is deputy chief of the science policy branch at the U.S. National Institute on Drug Abuse. She stressed that "the appeal of loperamide is likely due to its easy availability, not due to the quality of the high. It appears that many of those who misuse loperamide are not seeking a high at all, but are rather doing so to self-treat opioid withdrawal. "It is not surprising that people with opioid addiction seek out and share methods of staving off opioid withdrawal, especially in the context of the current opioid crisis," Einstein explained. "While effective medications exist for the treatment of opioid addiction -- namely buprenorphine, methadone and extended-release naltrexone and the opioid withdrawal drug [lofexidine], they are seriously underused," she said. Instead, the Rutgers study showed that since 2010 there has been a steady annual rise in the number of loperamide abuse cases being reported to a national overdose registry. The average age was 27, most were white, and more than half were male. At the national level, there were 916 overdoses in 2015, resulting in two deaths. And that, said Einstein, suggests the loperamide threat needs to be seen in context, since "its relative toxicity is nowhere near that of other opioids, especially illicit synthetics such as fentanyl, a drug category that killed more than 28,000 people in 2017." Still, the question remains: what can be done? One option, making loperamide prescription-only, is less than ideal, cautioned Calello, "because there are many people who use the medication appropriately, for whom needing a prescription would limit access. "Education about the risks of excessive loperamide dosing is key," she said. "Opioid users who take it in high doses may assume that its toxicity is typical of opioids -- take a little too much, get sleepy, take a lot too much, stop breathing. "While this "typical" toxicity is reversed by naloxone, loperamide causes cardiac arrhythmias and cardiac arrest -- for which naloxone does nothing," Calello warned. On that front, the FDA issued a high-dose cardiac risk safety warning in 2016. "So, getting the word out that this is a uniquely dangerous opioid medication in high doses is important," Calello said. Linda Richter, director of policy research and analysis with the Center on Addiction in New York City, thinks that loperamide abuse is just the latest sign that our health care system fails at solving the addiction problem. "Unless we make it easier for people with opioid addiction to get the treatment they need, they will do whatever it takes to try to manage their addiction symptoms on their own," she said, "whether it is by using potentially deadly drugs like fentanyl or by turning to high doses of legal drugs like loperamide to stave off their excruciating withdrawal symptoms and cravings." The findings are published in the Feb. 4 issue of the journal Clinical Toxicology.